You'll soon be able to explore the depths of the ocean in an Aston Martin. You have to be rather wealthy to afford an Aston Martin. Your average supercar owner can probably afford to splash out on expensive yachts and speedboats to complement their collection of supercars, which probably explains why the British automaker partnered with Quintessence Yachts and Mulder Design to build the AM37 luxury boat costing over $1.2 million. 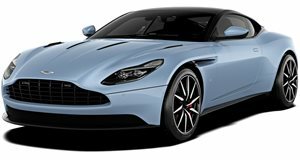 Taking this a step further, Aston Martin has now teamed up with Florida-based Triton Submarines LLC, a company that specializes in submersible underwater vehicles. This is the first vehicle to spawn from this surprise collaboration: presenting the Project Neptune, Aston Martin’s first ever ocean-going submarine. Yes, you'll soon be able to explore the depths of the ocean in an Aston Martin. It’s the first project by the British manufacturer's design offshoot department Aston Martin Consulting that launched last year, and will be built in strictly limited numbers for affluent superyacht owners. Both companies want to "enhance the superyacht ownership experience" by introducing "the new generation of yacht owners to the deep ocean" with the Project Neptune. Based on Triton’s acclaimed Low Profile three-person platform, Aston Martin designed the sleek body and will oversee development of the swanky submarine. It certainly looks striking, and you can see traces of the AM37’s design. “Project Neptune is defined by its sleek, elegant exterior,” says Aston’s design boss, Marek Reichman. “We have used forms and proportions that express the same devotion to design, engineering and beauty that shape our cars, such as the Aston Martin Valkyrie hypercar project.” Project Neptune is a flagship project for Aston Martin Consulting," said AMC’s Managing Director Bradley Yorke-Biggs. “It is a clear and engaging demonstration of how Aston Martin's expertise in sports car design and craftsmanship can be extended into new aspects of the luxury world." No word yet on price or propulsion methods, but more details should be revealed soon. If the Aston Martin’s AM37 boat is anything to go by, both companies fully intend to build the Project Neptune. It may sound like an unlikely partnership, but it all helps to enhance Aston Martin’s prestigious image as a luxury brand.